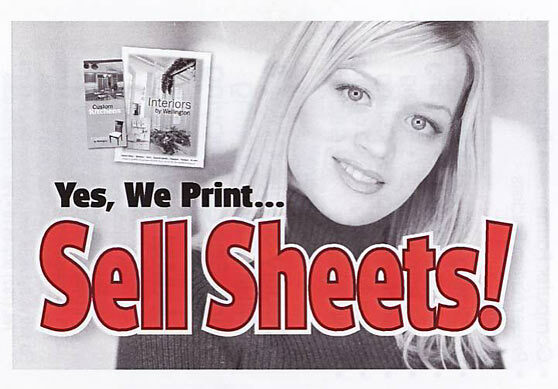 There’s a saying in business: “You can’t sell ‘em if you don’t tell ‘em.” Sell Sheets make great flyers, brochures and handouts. Tell prospective customers all about your company and its products or services with quality printed Sell Sheets from our print shop. 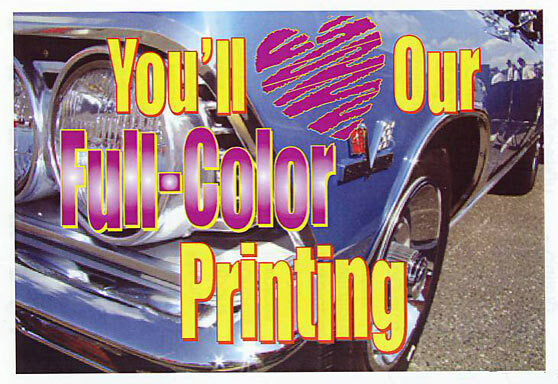 Full Color printing can give your company that boost it needs to get your message noticed. Save time and money. Order only what you need. From 1 to 1 million copies, up to 12 x 18! We can handle any of your copy jobs with our fast service, knowledgeable staff and great prices (Yes, our prices are better than the big box office supply stores!). So bring your copy jobs to us and we'll take care of them for you FAST! What better way to keep in touch with your club members and customers each month than with a fun, informative newsletter. Not only can you inform, you can also entertain your readers! 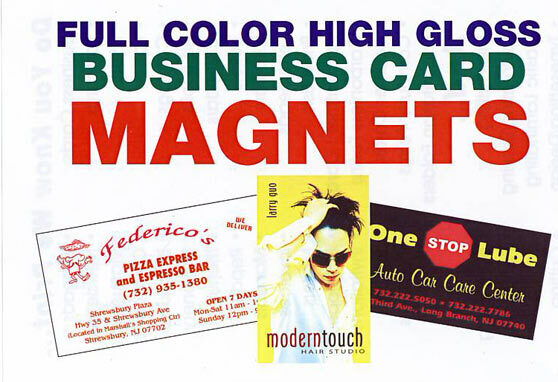 Our Full Color Business Card Magnets are a good way to keep your company name handy and visible! 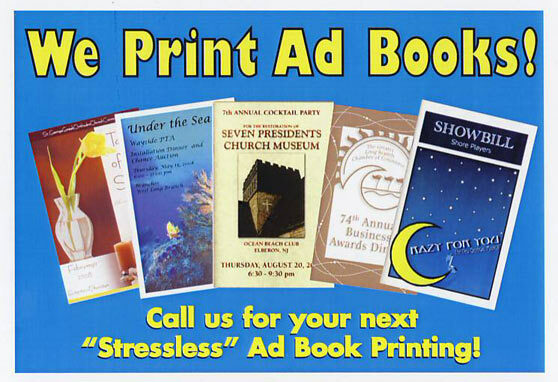 They are great way to advertise your business or service… and they're inexpensive! 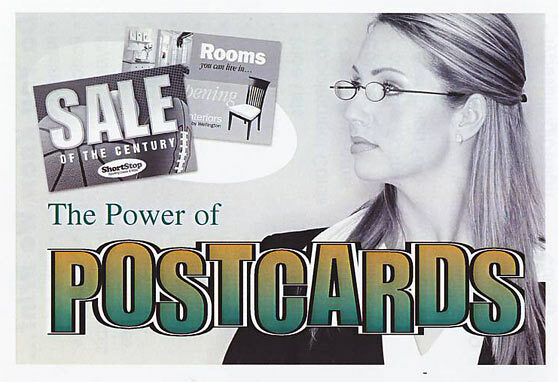 Low-cost postcards can help you achieve your sales and marketing goals. Our print shop is epuipped to handle all of your postcard needs. Stop in or call us today for more information! You've worked hard to put together a comprehensive and informative booklet, catalog, or manual. Now, it's time to get it printed. We can help you make it look as good as it reads. 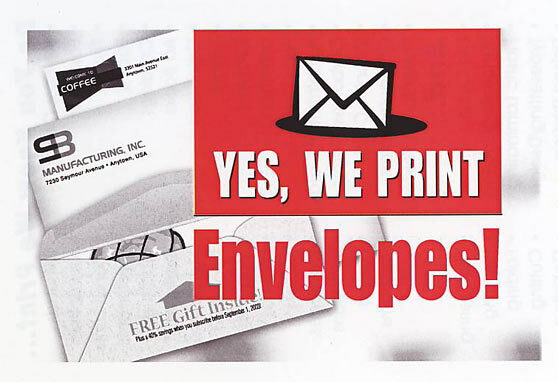 Need envelopes? Big or small, we print ‘em all! Every year our print shop prints hundreds of thousands of envelopes in over a hundred different sizes and colors for local businesses just like yours! 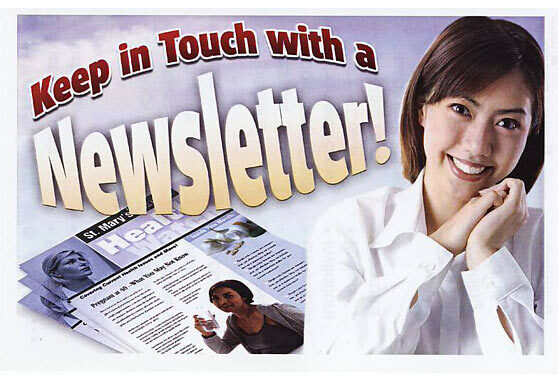 Ask us about Bulk Direct Mailing Also! 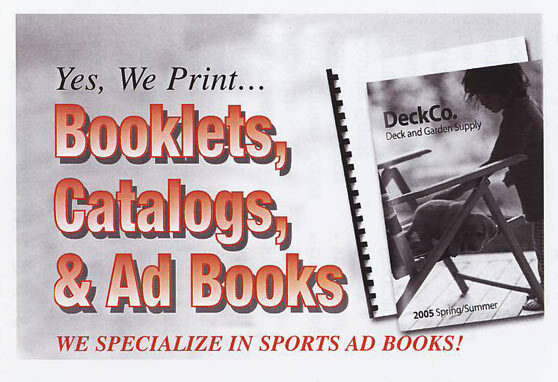 Let us print your next Sports, Group or Associations Fundraising Ad Book. Don't be overwhelmed with your Ad Book project; let us walk you through every step of the way. Our experience in Designing, Printing and Binding Ad Books can't be beat! 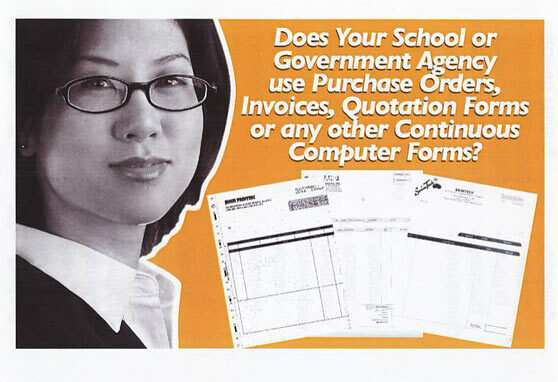 Business forms are an essential part of every Company, School or Government Agency. From multi-part continuous (computer) or individual sets. We can print 1, 2, 3, 4 or more part forms, one or two sided in any color combination you like and we can consecutively number them too! 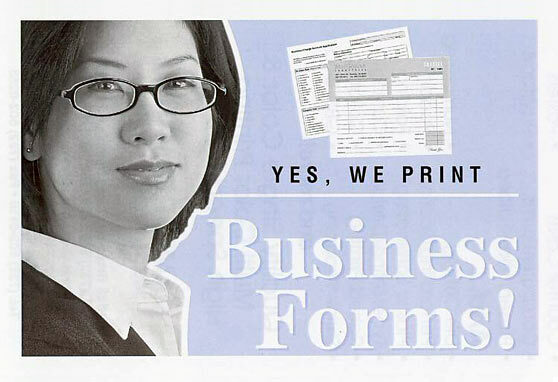 Business forms are an essential part of every company. From multi-part continuous (computer) or individual sets. We can print 1, 2, 3, 4, part forms, one or two sided in any color combination you like and we can consecutively number them too! 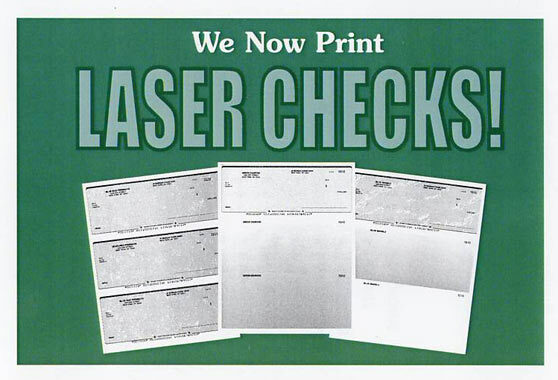 Let us print your next 3 up laser checks. 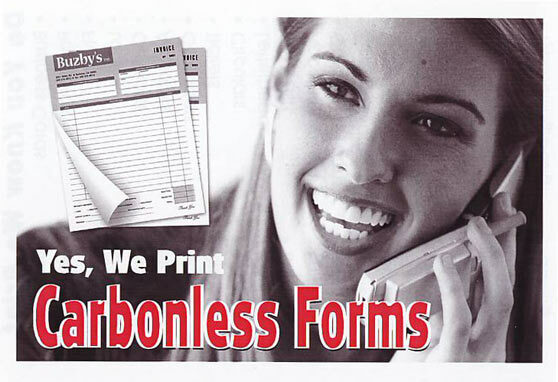 Carbonless forms are a great way to keep your company running smoothly. Put them to work for your company as purchase orders, invoices, sales orders, inventory forms, delivery receipts, or? ?